New Thimbleberries® patterns with a contemporary twist! Best-selling designer Lynette Jensen showcases pairs of projects made with her own classic fabrics and Cotton + Steel fabrics - the results are stunning! 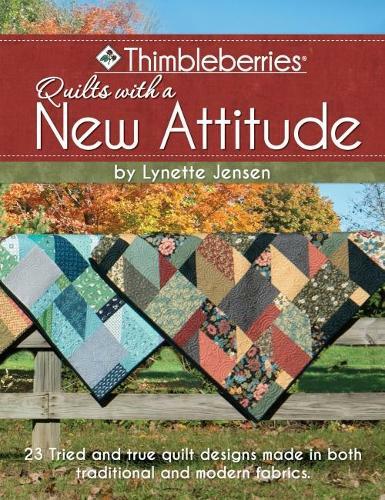 Lynette returns with over 20 new Thimbleberries® patterns and a mission to unite fabric lovers everywhere with a whole new way of presenting quilt patterns. Thimbleberries® with a New Attitude will feature her own timeless, traditional designs and fabrics as well as presenting them made with fabric by Cotton + Steel, the exciting collaboration of five young designers whose contemporary fabric designs have taken the quilting world by storm. There is something for everyone in the book where tried and true meets new!